Now that autumn is here and the weather is cooling off, start to make the transition from summer decorations to fresh, fall accents. Each with its own distinct look, incorporating seasonal touches is a fun way to greet a new part of the year and just a few small changes can make a big difference. Here are a few easy ways to transition your home and your office from summer to fall. Stash Summer. Before beginning to add fall elements to your décor, be sure to stash away anything that has an unmistakable summertime feel. Simply take a walk around your space and look for anything that makes you think of the beach, like brightly colored items. Then carefully store those decorative pieces away, you can even label the container so you know just where your summer accessories are when you need them again next year. Swap Arrangements. Since we spend most of our hours at work each day, use fresh, fall flowers to brighten up your office, justremember not to overcrowd your desk or any part of your office area. Choose autumn blooms, like asters, chrysanthemums and sunflowers for indoors and fill outdoor pots with mums to greet customers as they come in. Shift Scents. Luxurious, warm scents are distinctly fall. So, pack up your floral or linen candles and try a subtle fragrance with a musky undertone. Then as we move further into the season, you can really go for it by bringing out the pumpkin and cinnamon scents! And if you don’t like candles, you can also use incense or plug-ins to get the same lovely effect. Savor the Season. For some, fall is all about foliage, for others, it’s all about the flavors. 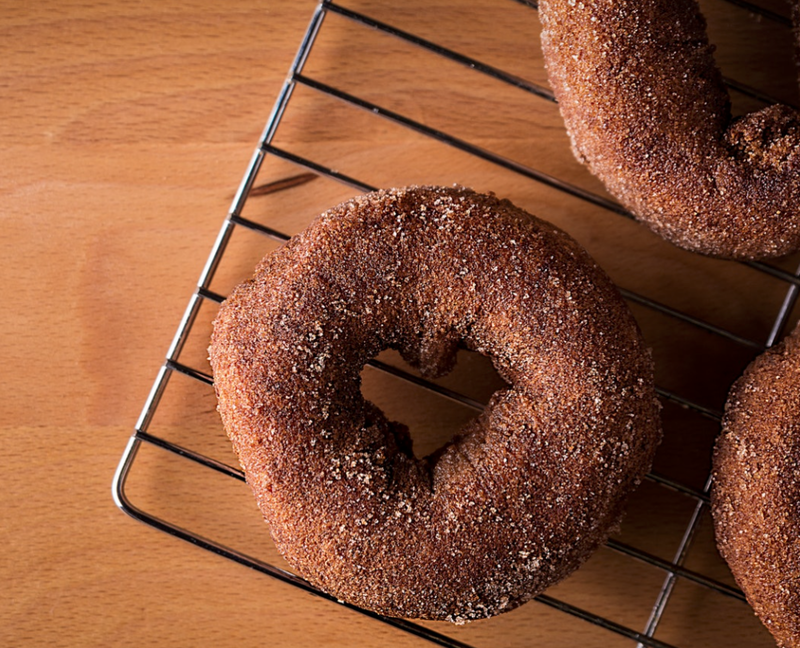 Surprise co-workers with a taste of autumn by bringing in apple cider donuts to share with your team. You’ll make everyone’s day a little sweeter! Switch Lighting. While summer is all about brights, fall is much cozier, so it calls for soft, warm lighting. Not only are candles wonderful to create a homey scent, but they also cast an authentically autumn glow. If you cannot have candles for safety reasons, try the electric ones—they create the same fabulous fall vibes without the flame. Or drape your outdoor summer lights across a doorway and bookshelf to set a similar tone. Substitute Textiles. An instant way to transform your space is to pack away the bold nautical prints and bring in comfy elements like blankets, heavy curtains and throw pillows. Choose warm palettes and rich textures like bold plaids, faux fur and even faux leather pieces. Then add some rustic touches as well, like branches and antlers or even fruits like apples or pears and don’t forget the pumpkins and gourds!